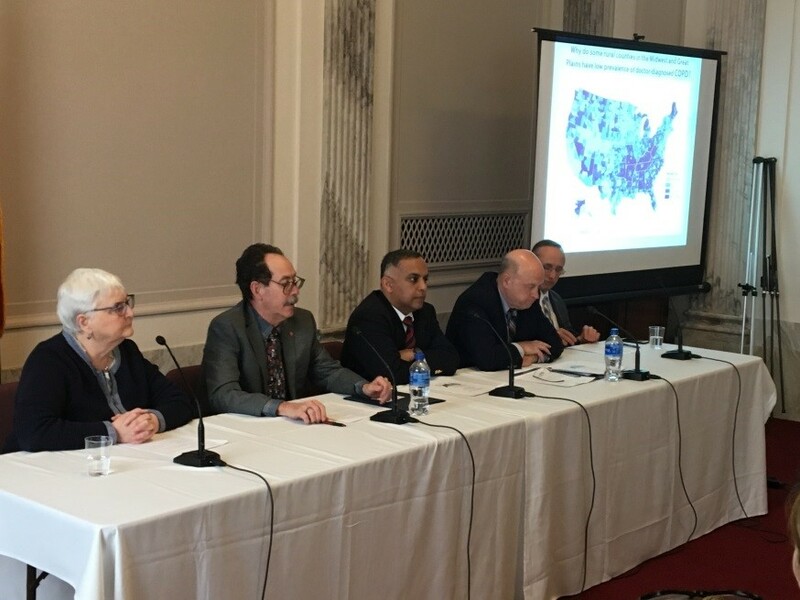 In conjunction with the COPD Coalition, the ATS co-hosted a Hill briefing on COPD and its impact on the rural health. The briefing focused on the CDC’s recent report that documents the disproportionate impact COPD has on patients in rural communities. The briefing also featured discussion of the unique exposures and barriers to care that exist for COPD patients in rural communities. The ATS will continue to work with sister organizations to raise the level of Congressional awareness and resources available for COPD prevention, detection, treatment and research.